We are beginning to review the park management plan for Jasper National Park. We would like to hear your views on the future of Jasper National Park. Browse our website. Fill out a survey. Attend a public meeting. What is a park management plan? Management plans are prepared in consultation with the public and Indigenous peoples. Under the Canada National Parks Act, we are required to review our park management plan every ten years. We last updated our park management plan in 2010 and are aiming to table a new plan in Parliament in 2020. We want to hear from you. Public involvement ensures that management plans reflect the perspectives of Canadians. There will be several opportunities to provide your input during the management planning process. During this phase of the planning process, we are inviting feedback until April 30 on the scope of the management plan review—what key topics should we address during the planning process? We would like to discuss seven main topics during the management plan review. We came up with this list by completing our State of the Park Assessment, evaluating our delivery of the current management plan, taking stock of public and Indigenous feedback during the last ten years, and reviewing our Agency’s current priorities. Healthy ecosystems and wildlife are at the heart of Jasper National Park’s importance to Canadians. Natural processes, such as wildfires and avalanches, help to create and maintain the range of terrestrial and aquatic habitats that support a rich diversity of life. Historic activities and developments have had a profound influence on the ecosystems we see today. Wildfire suppression for much of the 20th century has resulted in forests that are more uniform in age and less diverse than would be expected. Construction of roads, railways, visitor facilities and a townsite has fragmented terrestrial and aquatic habitats. Parks Canada has been working diligently to address historical effects by, for example, restoring fire to the landscape, and improving terrestrial and aquatic connectivity where it was constrained. The three South Jasper caribou herds are at risk of imminent extirpation (local extinction); their numbers are so low they cannot recover on their own. In addition to the lack of fire in Jasper forests, mountain pine beetle is changing the landscape, with consequences for wildfire risk, public safety and long-term forest succession. White pine blister rust and non-native plants are threatening species and ecosystems; whirling disease is a new threat on Jasper’s doorstep. The number of human-wildlife conflicts is increasing, suggesting new approaches may be needed to address this longstanding issue. 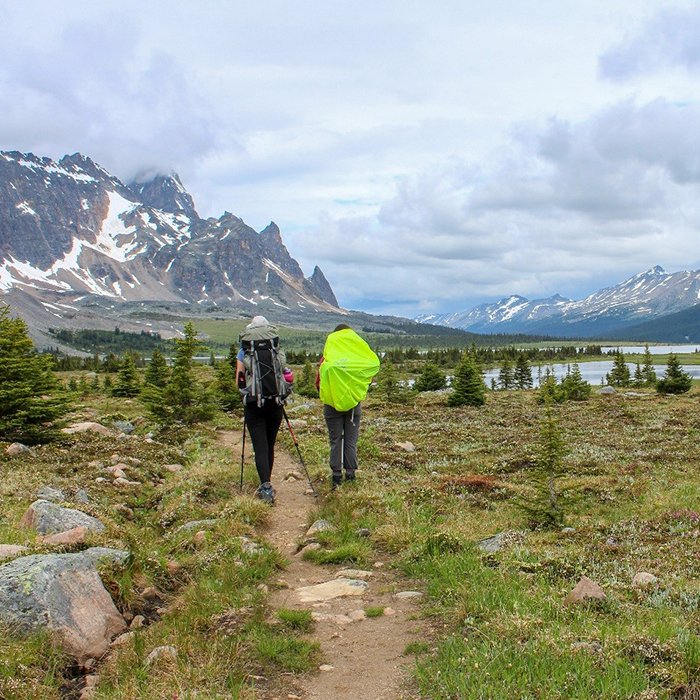 No matter their background or interest, visitors can enjoy meaningful and rewarding mountain experiences—from the iconic scenery of this part of the Canadian Rocky Mountain Parks World Heritage Site to the small town hospitality of its mountain community. 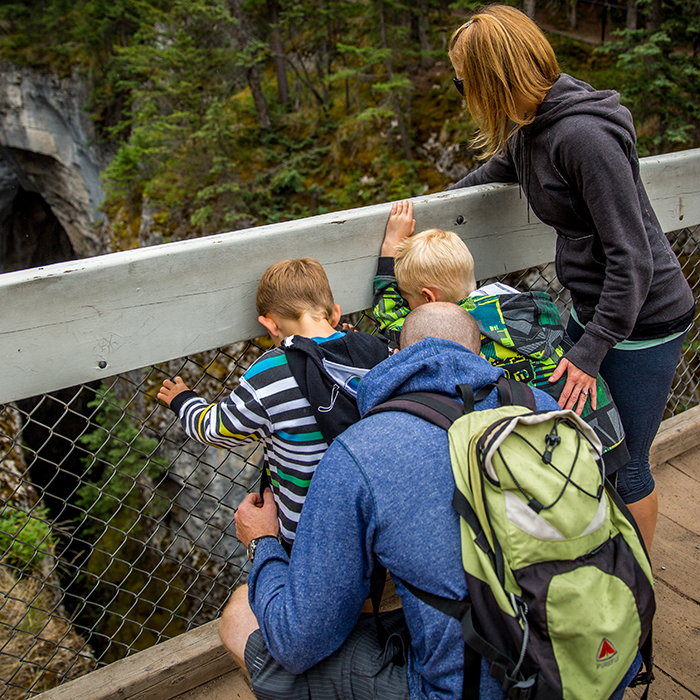 Collaboration with tourism industry partners and the community of Jasper has resulted in a range of high quality visitor activities, services and information. This is reflected in high levels of visitor satisfaction and increasing visitation. Between the 2011-12 fiscal year and the 2016-17 fiscal year, visitation to Jasper National Park increased by 20%. Facilitating opportunities for people to experience the unique natural and cultural features of Jasper National Park firsthand can create lifelong supporters of this park, and of other protected areas and conservation in general. At the same time, we must manage visitation carefully to protect those same valued features. Updated strategies that respond to increasing visitation will ensure that visitors continue to enjoy their experiences in the park and that the park environment is protected. Connecting with the wilder side of Jasper National Park is as easy as finding the nearest trailhead. Over 97% of the park is wilderness. Basic facilities, such as trails and backcountry campgrounds, support visitor activities in some wilderness areas, but large areas of the park do not have any facilities at all. These areas provide secure habitat for wide-ranging animals like grizzly bears and caribou. Wilderness visitation is rising in parallel with park-wide attendance. With around 1,200 km of trails and 100 backcountry campgrounds, asset maintenance and compliance are operational challenges. 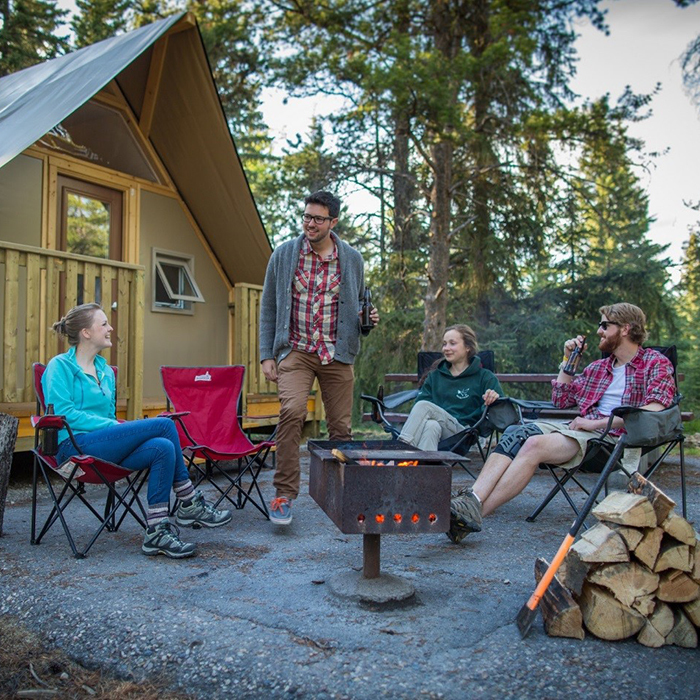 Commercial operators provide services that complement Parks Canada’s wilderness offer, and commercial facilities and activities are managed to ensure they contribute to Parks Canada’s objectives for visitor experience and ecological integrity. While Parks Canada has been working to improve wilderness facilities and services for specific groups, such as new Canadians and families, more work is required. Jasper National Park’s beautiful setting and natural attributes are the basis for its continuing popularity as a tourism destination. Safeguarding these attributes has, over the years, required care and attention. Specific limits to commercial development in Jasper National Park are set in legislation and policy. These decisions were the result of extensive analysis and public review and continue to guide Parks Canada’s decision-making. For example, the boundaries of the Municipality of Jasper and the maximum commercial area permitted within the townsite are fixed in the Canada National Parks Act. Guidelines for outlying commercial accommodations and Marmot Basin Ski Area provide important decision-making frameworks for major facilities outside of the Jasper townsite. The park management plan contains important direction intended to maintain the park as a special place by directing and limiting both public and commercial development, while encouraging creative approaches to modernizing or updating facilities to better meet visitor needs and reduce environmental impacts. The management plan review may also provide an opportunity to refine policies concerning new park activities and services. We will be seeking your input on processes and approaches for decision-making for large-scale commercial development that consider the priority of ecological integrity as well as the principles of openness and transparency, and that support quality visitor experiences. 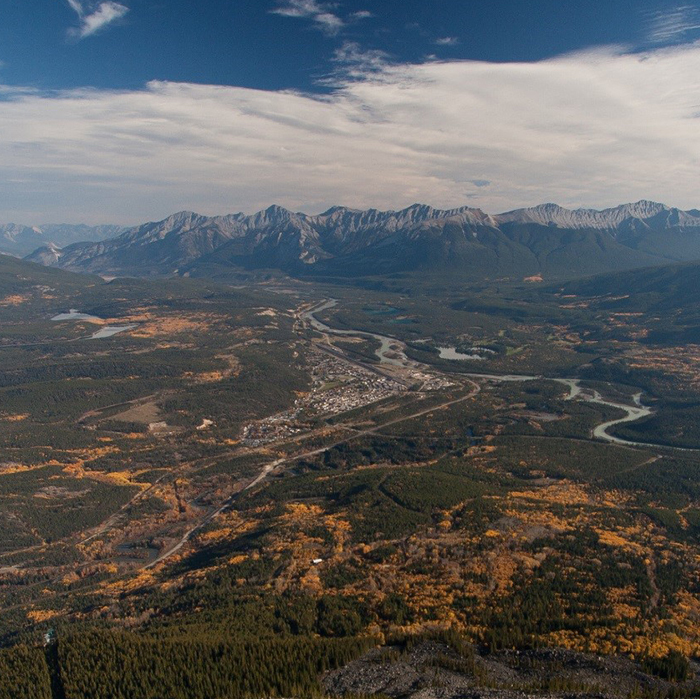 Nestled in the Athabasca Valley, the Town of Jasper is a community of just under 5,000 people that swells to about 20,000 with visitors in the summertime. The community plays an important role in the delivery of Parks Canada’s mandate by providing a welcoming staging area for visitors; concentrating most services and facilities in one area of the park; preserving Jasper’s distinctive cultural heritage; and helping visitors learn about the park’s unique natural and cultural heritage. Parks Canada works closely with the Municipality of Jasper, which delivers most of the services in the townsite and the surrounding rural service area. Parks Canada is responsible for land use planning, development review and environmental matters. Community issues are addressed in the Jasper Community Sustainability Plan, approved in 2011. Key community issues include chronic housing pressures, inadequacy of industrial services space, and challenges arising from zoning and the commercial growth cap. The new park management plan will provide strategic direction on the community’s role in the park. Parks Canada is currently working with more than 20 Indigenous groups with ties to Jasper National Park. 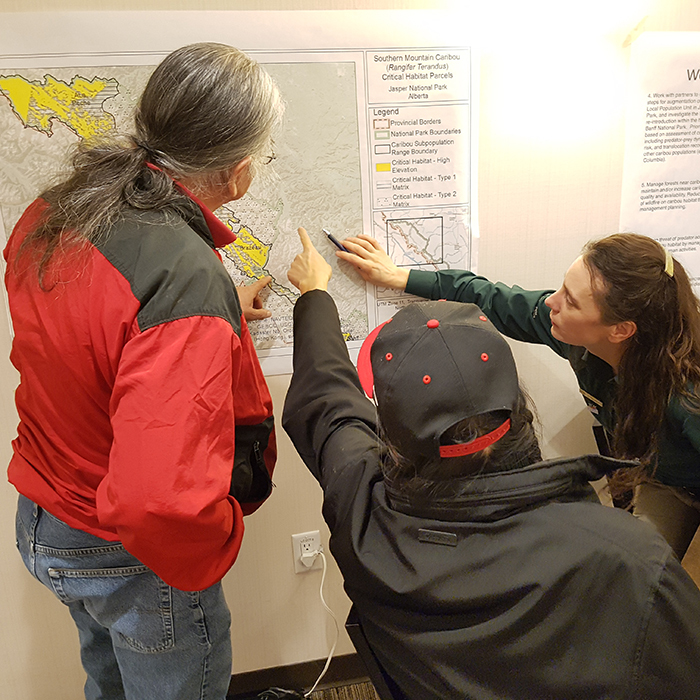 The 2010 park management plan provides direction that has shaped Jasper’s Indigenous engagement program and other park activities, based on the guidance and priorities of Indigenous partners. Parks Canada recognises the rich history of Indigenous peoples on the landscape and is committed to strengthening relationships. We will work closely with Indigenous partners to identify areas of interest for future collaboration and opportunities to further Indigenous participation in park management and operations. Climate change is a global phenomenon that has broad ecological implications. National parks can play an important role in helping to understand the effects of a changing climate on ecological processes and biodiversity. 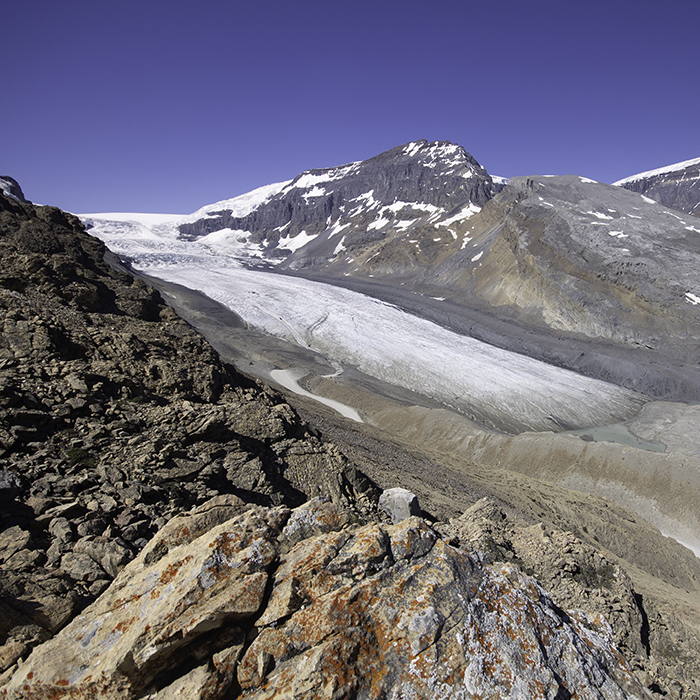 At the Athabasca Glacier, one of the world’s most accessible glaciers, millions of visitors can witness firsthand the rapid retreat of a glacier over the past century. Climate change is also affecting other aspects of Parks Canada’s work, such as built assets, which need to withstand more extreme weather patterns, and changing visitation patterns and activities as shoulder seasons lengthen. Subscribe to Jasper's mailing lists here. A State of the Park Assessment is prepared early in the planning process and sets the stage for the management plan review. Parks Canada determines the scope of the plan review by considering what issues the management plan should address. We look forward to hearing from you! The comment period is now closed. Parks Canada is reviewing the feedback received. Once the scope of the plan is set, the work of drafting a new plan begins. Stay tuned for more information on opportunities for public involvement at this stage of the planning process. The final plan is approved by the Minister of Environment and Climate Change and tabled in Parliament.